Save The Date! 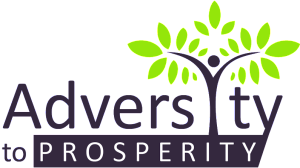 Adversity To Prosperity will be participating in Fairfield County’s powerful 24-hour Giving Day event to support our fundraising task of fulfilling our scholarships. Visit our page here! Here are some of the news articles that we have been featured in. Thank you Christian Estevez from People’s Bank for coming and spreading financial literacy to the Harding High Football Team. We appreciate you! Our 1st Annual Scholarship presentation was amazing today! It started off as a dream of ours and was realized through hard work and dedication of our board members as well as to those who have donated. Thank you to any and all who helped make this possible!!. We truly appreciate it. Did you know that 99% of your donation directly benefits those we serve? Every little bit counts! Donate today to make your mark!